Tiger iron is a rock that is made up of tiger's eye quartz, black hematite and red jasper. These minerals create contrasting bands of color for a truly unique look popularly used for many sorts of ornamentation and decoration. Stones have bands of black hematite, tiger's-eye and red jasper. Depending on where the rock is tested it can show a quartz RI 1.544 to 1.553 or a OTL RI of hematite. 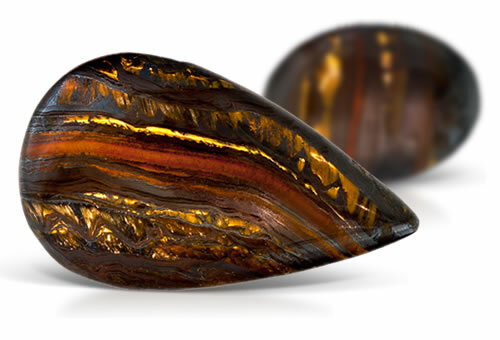 Tiger iron has contrasting color bands alternating between tiger's-eye, jasper and hematite.